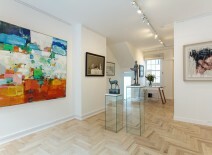 Both London and Aldeburgh hold up to eleven shows a year ranging from one-man to mixed exhibitions. We specialise in Modern British 20th and 21st Century artists, Scottish colourists and Contemporary and pride ourselves in sourcing original work by the artists we represent. Please fill in the detail boxes below to keep up do date with Artist and events at Thompson’ s galleries. 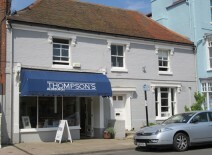 Information provided will be held by Thompsons gallery alone and not passed on to any third parties. WHICH GALLERY(IES) ARE YOU INTERESTED IN?